Russia and the US have signed an agreement regulating the operations of the two countries' air forces in Syria. The deal is aimed at preventing incidents and providing for the smooth operation of the two nations' aircraft, and for mutual aid in critical situations. The agreement, whose full name is "The Memorandum of Mutual Understanding between the Defense Ministries of Russia and the United States on preventing incidents and providing for aviation flights during operations in Syria" is hailed as a 'positive step', the Russian Defense Ministry said in a press release. The document "has important practical value. It regulates the actions of manned and unmanned aircraft in the airspace above Syria. The Memorandum contains a set of rules and limitations aimed at preventing incidents between the air forces of Russia and the US," the Defense Ministry says. As soon as the agreement comes into force, there will be 24/7 communication channels established between the Russian and American military commanders. According to the Russian Defense Ministry, its US counterparts have pledged to convey the agreement's details to their anti-Islamic State coalition partners, so that they, too, follow the rules it sets. The signing of the Memorandum "shows a high potential for cooperation between Russia and the US, including in the fight against terrorism". However, the Defense Ministry stresses that the Memorandum is strictly "military and technical" and it's signing does not change Russia's principal position, which is that "its military is acting in Syria at the request of the legitimate authorities, whereas the use of force in one country's territory by another country without its authorities' agreement or a ruling by the UN Security Council is against international law." The ratification of the memorandum was preceded by three televised conferences between Russian and American military representatives, who prepared the final text of the document, Colonel-General Andrey Kartapolov said, TASS reported. Russia’s Defense Ministry is urging the Pentagon to conduct joint efforts to rescue any pilots downed in Syria, but the US military forces seem reluctant to cooperate, the ministry’s spokesman, Igor Konashenkov, said while commenting on the new agreement, RIA Novosti reports. “Unfortunately, our western colleagues still don’t appreciate the full gravity of the situation,” Konashenkov added. The memorandum signed both by Russia and the USA has already come into force, according to Pentagon. The document doesn’t suggest establishing cooperation zones or sharing intelligence information. The classified document specifies the radio frequencies that should be used by both sides for communication, sets up a ground hot line, and appoints an ad hoc working group to facilitate further talks, Pentagon spokesman Peter Cook added, as reported by AP. When asked about how far Russia and the US might be from establishing zones of cooperation, in an interview to RT, former US diplomat Jim Jatras said the Obama administration “can’t admit that it is weakly following the Russian lead and its policy remains completely incoherent.” Therefore, Russia and the US are still “a while away from that,” according to Jatras. Jatras has also expressed hope that the US will eventually share intelligence information with Russia. Russia has been conducting a campaign of airstrikes against Islamic State (formerly ISIS/ISIL) in Syria for three weeks now. Daily reports from the Defense Ministry indicate dozens of IS targets have been hit, including weapon and ammunition depots, supply and communication lines, headquarters and command posts. 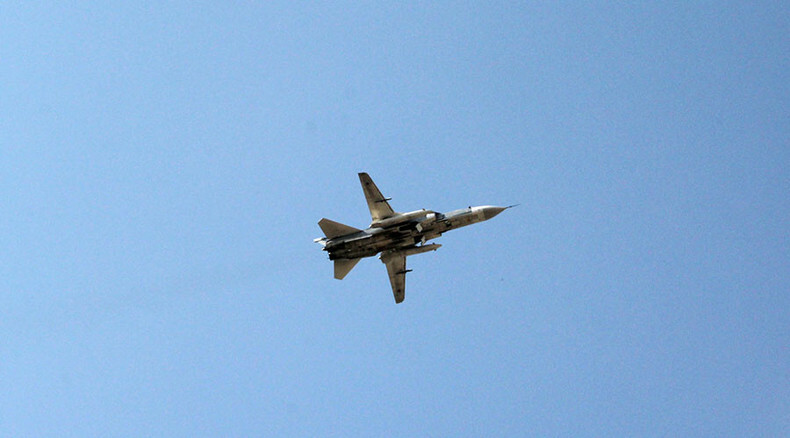 The bombing campaign has been timed together with the Syrian army's push against ISIS terrorists. Washington has been accusing Russia of hitting non-terrorist targets, including those belonging to so-called “moderate” rebels whom the US supports in the fight against Syria's President Bashar Assad. Russian officials, including the president and the foreign minister, have repeatedly said the goal of the airstrikes is to combat terrorism, not help Assad reassert his power. Meanwhile, the US-led coalition forces are carrying out bombing operations of their own – with Moscow accusing them of lacking a UN Security Council mandate or approval from Syria's legal authorities.